Grim is a gory tale that was rather hard to put down. Heath Grim is a war veteran who wears a mask to hide his disfigurement. His best friend has been dead for about two years and he still has conversations with him in his head all the time. A murder investigation in Abbadon leads the towns only hope, Adam White to Heath Grim. Adam's wife also fell victim to these crimes so he is determined to put an end to this. These murders are similar to previous crimes. Heath is determined to deliver justice. Cryus Black is the ganglord of Prairieville and plans on expanding his business, which means he needs to take care of Heath since he owns property the gang leader needs. This book kept me on the edge of my seat the entire time I was reading. I kept wondering how the next crime was going to go down, as no two murders are the same. This book is very descriptive and maybe not for those with a weak stomach. I highly recommend this to fans of the genre and give it 5 hearts! Thanks so much for the kind words. My publisher would like for me to tell readers of your blog that they are offering 28 percent of all ebooks with code 289snake. The sequel to Grim, titled Wrage, will be out June 1st. Email me at heathgrim2012@gmail.com for a free bookmark. 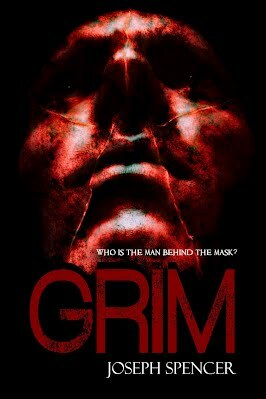 Read your review of Grim. Well done, both the author and the reviewer. I'm also published through Damnation Books. What can I do to get my book reviewed?